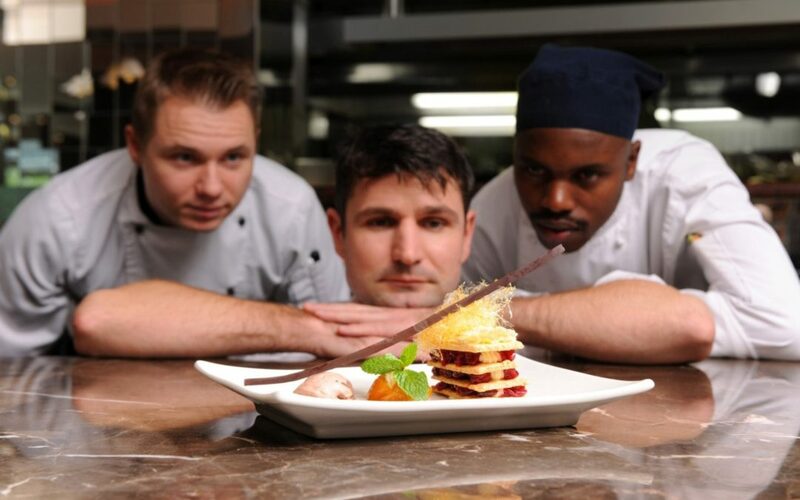 Driven by inspiration, Stefan Schmidt, executive chef at Cape Town’s Townhouse Hotel & Conference Centre, has always strived to become the best chef he can be. He shares some of his tips for conference catering with SA Conference. How has the food and beverage industry changed over the past five years? There’s been a definite shift to healthier food options, with an emphasis on the use of local, organic and sustainable produce. There’s also a broader awareness of, and interest in, the farms and places where food was produced, from which animal certain products came and how the animals were raised. Generally, the trend is towards awareness of the whole food cycle and not just the end-product. Thanks to television and the Internet, there’s been an upsurge in kitchen professionalism and everyone has their opinion about what constitutes a “masterchef” – it can be a bit annoying! What are some of the trends you see in the food and beverage industry? It seems that vegetables are the big thing of the moment. It’s nice to see since they’re healthy and nutritious. There are so many wonderful combinations and variations to be made when preparing them. I think there’s also a trend back towards the basics of cooking: homey, comfort food that we prepare at home when time isn’t a factor and we can savour the moment. Slow cooking will always have its followers, I feel. What would you say is the number one mistake people make when it comes to catering for conferences? Conference organisers or the big boss of some organisation who dictates what the catering should entail. I find this is a recurring problem. The catering needs to be tailored for the majority of the delegates – not around the one person who calls the shots. What are some of the challenges that you have experienced? Smaller budgets for conferencing, but expectations are growing. Also, turnaround times are getting very short, tomorrows’ conference might only get booked today. This leads to another challenge: conferences don’t always stick to the proposed agenda, which means they do not adhere to the allocated time slots. What are your catering top tips? Please feel free to ask for our advice because that’s what we’re here for. We’re professional foodies, we do this on a daily basis, so we’re best placed to advise you. How do you present ‘plain’ food in a way that makes it look appealing to delegates? The golden rule about food presentation is that it must be fresh, fresh and fresh, with a sprout of greenery. Simple is usually the best. What dish are you asked to make most often? For conferencing events a hot favourite is our neck of lamb slowly braised with tomatoes, cooked so tenderly that it is almost falling off the bone. At our Trees Restaurant at the Townhouse Hotel it’s the seafood gratin. It’s made with a variety of local fish – mussels, calamari, prawns and hake fillet – all fried individually and topped with white wine sauce with beaten liaison (egg and whipped cream) and then placed under the top heat to gratinate until slightly brown. Sadly – or luckily – I don’t have one! There are so many amazing ingredients available and my cooking tends to be seasonal according to what’s available and when. How did you decide you wanted to become a chef? My brother is also a chef and I had the good fortune and great pleasure to be exposed to his influence and skills whenever he cooked at home for the family. I wanted to be able to create the same stunning food as he did – and that’s how it all began. Born in Dresden, Germany, Stefan went to Oberkirch in Baden-Württemberg where he started his three-year apprenticeship at the Win Gasthof/Hotel Lamm. He was trained in all sections of the kitchen while attending the hotel school. 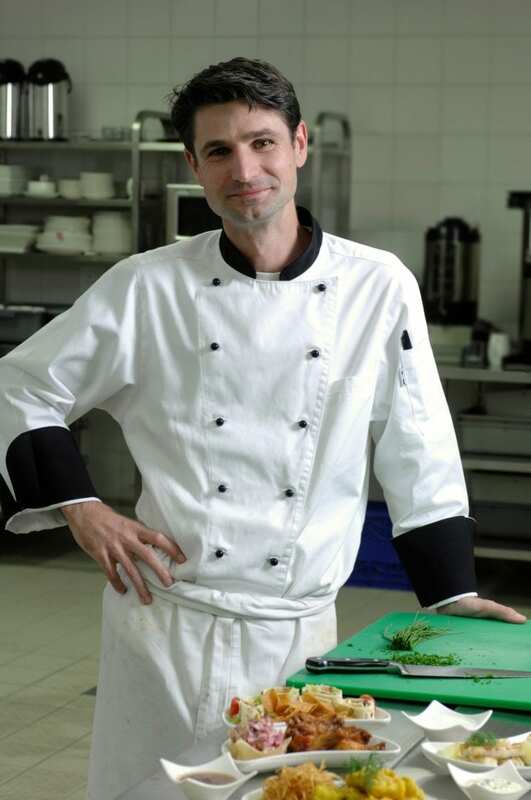 After successfully completing his apprenticeship in 1995, he moved to Freiburg where he joined the one-Michelin-star Colombi Hotel as a commis de cuisine. He cooked at the Colombi as entremetier and later became chef poissonier. restaurant on Blaauwklippen wine estate in Stellenbosch, where he stayed until October 2008. Since then he has been in charge of the kitchen at the Townhouse Hotel & Conference Centre.